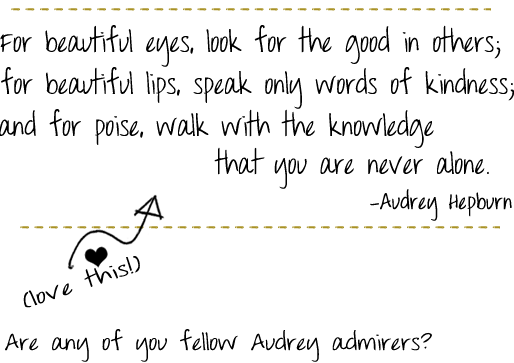 Bubby and Bean ::: Living Creatively: Oh Audrey! I am I am! 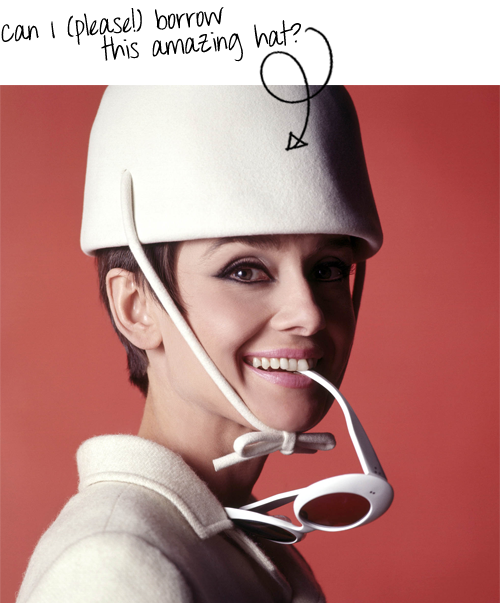 :-) She was such a timeless beauty who did such great things for the world! This might be the most gorgeous collection of pictures of her I've ever seen! 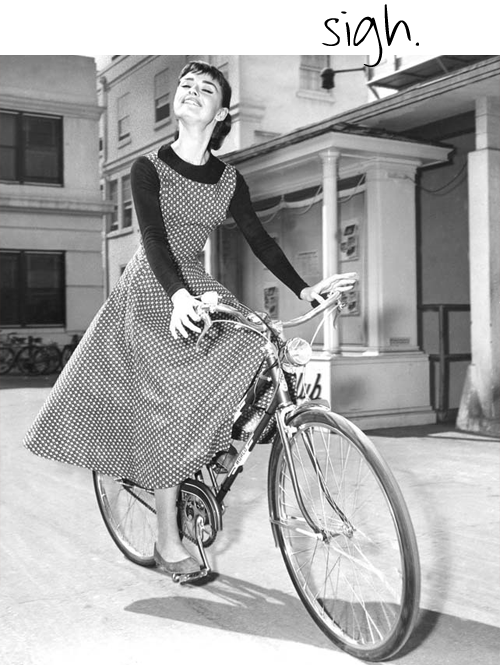 I especailly love the pic of Audry on the bike!! loooove her! so much grace, poise, style, and compassion. she's truly an inspiration. 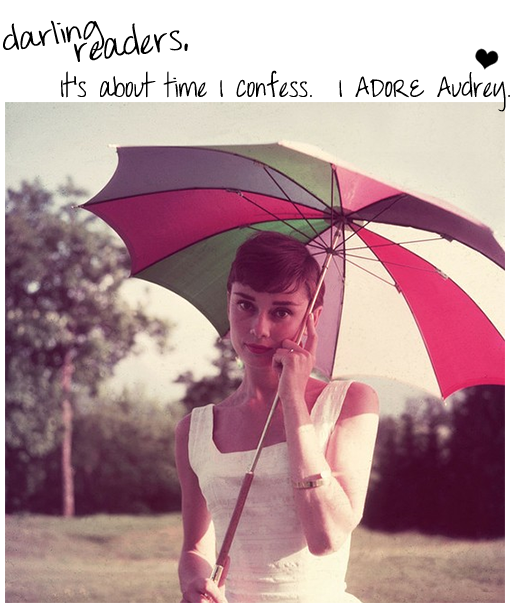 I'm loving these super rare photos of Audrey! I don't think I've seen any of these other than the hat one. She was such a classy, beautiful lady inside and out. Thanks for sharing these! Yes, yes! 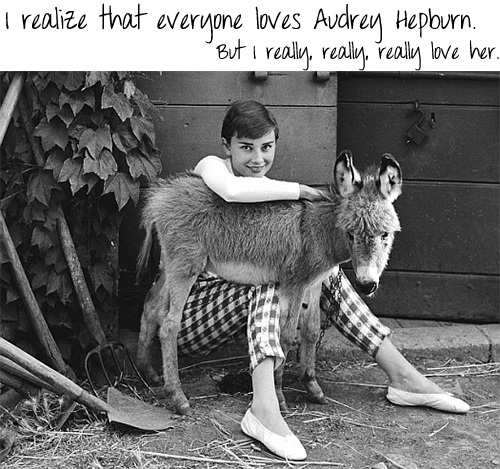 I adore her! 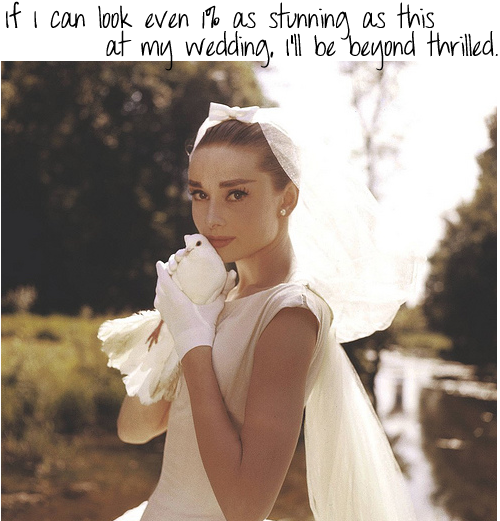 I have a little picture of her in my closet that I go to for inspiration. "I'm just wild about Tiffany's!". yep. own "breakfast at tiffany's" on dvd. have "the children's hour" & "love in the afternoon" on my dvr waiting for me to watch them. absolutely LUV "two for the road." her version of "sabrina" is my fave. have read a biography book of her life. swear that my mother-in-law looks just like her, in old photos of her as a girl. And by the way, I think you can definitely use vegetarian sausage if it is Mexican-ly spiced, or I also recommend trying a can of roasted chipotle peppers instead. Either way definitely try the recipe, it is awesome!